If there was any wavering in Alex Brosque's mind as he prepared to announce his retirement, a comment from his daughter last weekend confirmed that his decision was entirely correct. The Sydney FC captain will walk away at the close of this season after a decorated decade in Sky Blue service, keen to exit on his own terms and ready for the next chapter in his life. Recognising the telltale signs of declining physical capacity, Brosque, 35, will drive his teammates to finish the season on another high, before gratefully taking the opportunity to enjoy more time with his "real" family rather than his professional one. "That's the thing that gets harder as you get older," Brosque said. 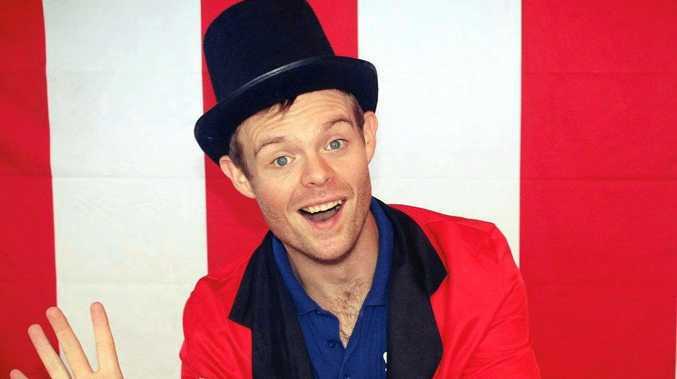 "Just at the weekend, we had my niece's birthday party and I obviously couldn't go. My daughter told me she was so happy I'm retiring so I don't have to miss these things anymore. "It's hard to hear your kids say those things. Even over summer, most people are on holidays, my family included. Having to drive back down each day for training and games, and going away, is getting harder. "They add to coming to this decision. I'll have my weekends again, and time with my kids. I understand it's part of a footballer's life; as a kid your parents go to work and that's normal. "Every father goes out to work and misses his kids; but in retiring it gives me a bit of comfort to know I can do more of those things." 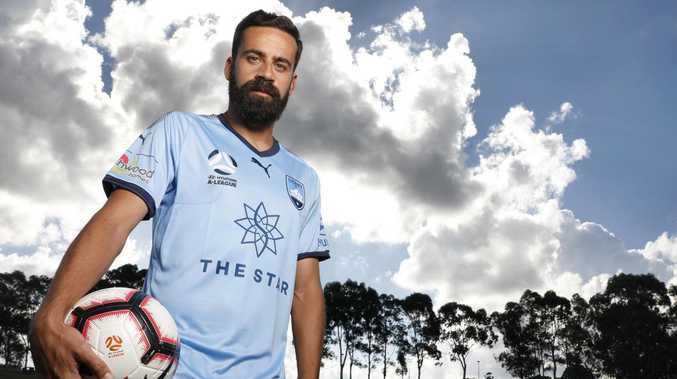 Brosque toyed with the idea of calling time a year ago, before opting to be a figure of continuity with Graham Arnold departing and Steve Corica becoming head coach. 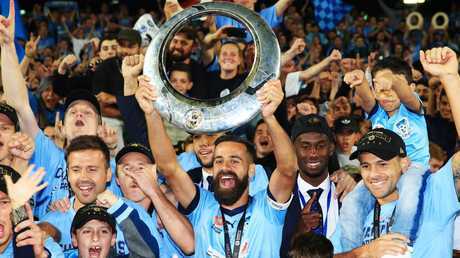 His role had been expected to involve a supersub role, but the serious injury sustained by Trent Buhagiar on the eve of the season changed that, and Brosque has responded with seven goals in the A-League. But still he has felt the evidence of age, and wants to be able to set the terms of his exit from the field of play. "I've had a long while of thinking about it, but the tipping point is noticing myself slowing down in many ways," he said. "The head wants to do things but the feet can't quite do it. I know physically and mentally it's the right time. "The emotions are mixed - I'm happy I've been able to make the decision on my own terms, it's not an injury or a coach forcing me to retire. "But at the same time, it's sad to have to come to that decision, that your body can't do what you want it to, and that everything you've done since you were a kid is basically coming to an end. "The last time I take the field will be hard, but I'm very excited for what my life post-football will bring." The shape of that next stage is still undefined; Brosque's property interests won't be a full-time engagement, and he is loath to leave football completely. Brosque celebrates scoring for the Socceroos against Saudi Arabia in 2012. "I would like to stay involved, and Sydney FC has been such a huge part of my life," he said. "Talking to my wife and family, the hardest part has been the idea that you work with a group of people at a certain job for 10 years, and suddenly have to say goodbye and walk away completely. "That's what makes it sad. So that's why I want to stay involved. I still haven't spoken to anyone at the club about nailing down what that will be, but whatever it is I'm sure there'll be something." Sydney FC's most successful Captain - 4 trophies. Sydney FC's most decorated player:- Two HAL Championships, Three Premiers Plate, One FFA Cup trophy, Three Player of the Year Awards. Sydney FC's all-time leading appearance maker - 264 apps. Sydney FC's all-time leading goalscorer - 82 goals. He has also scored the most goals in Sydney Derby history - 6 goals.